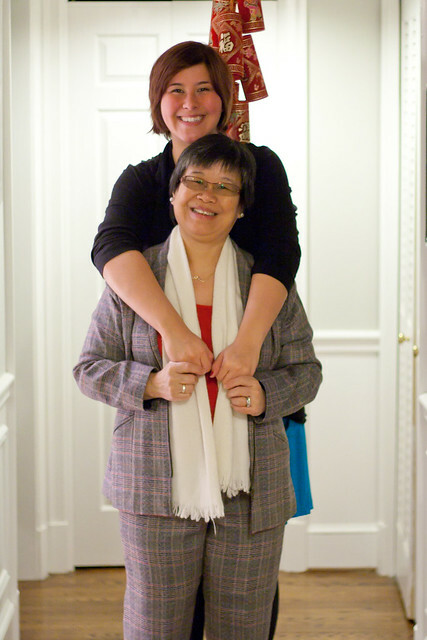 So, I throw the word “Whasian” around here a lot. And yes, I know it’s partly because I have a bit of a complex about people not knowing that I’m half-Chinese… since I don’t look particularly Asian (except for maybe a handful of times of year, which usually coincide with things like Chinese New Year or my brother’s Chinese Banquet-style rehearsal dinner). Though, to be fair, I went on a cruise with my family the summer after my Freshman year in college, and the ship’s photographer thought that I was Ben’s girlfriend (gross) rather than an actual part of my family. So I think said complex is at least somewhat understandable. ANYWAY. 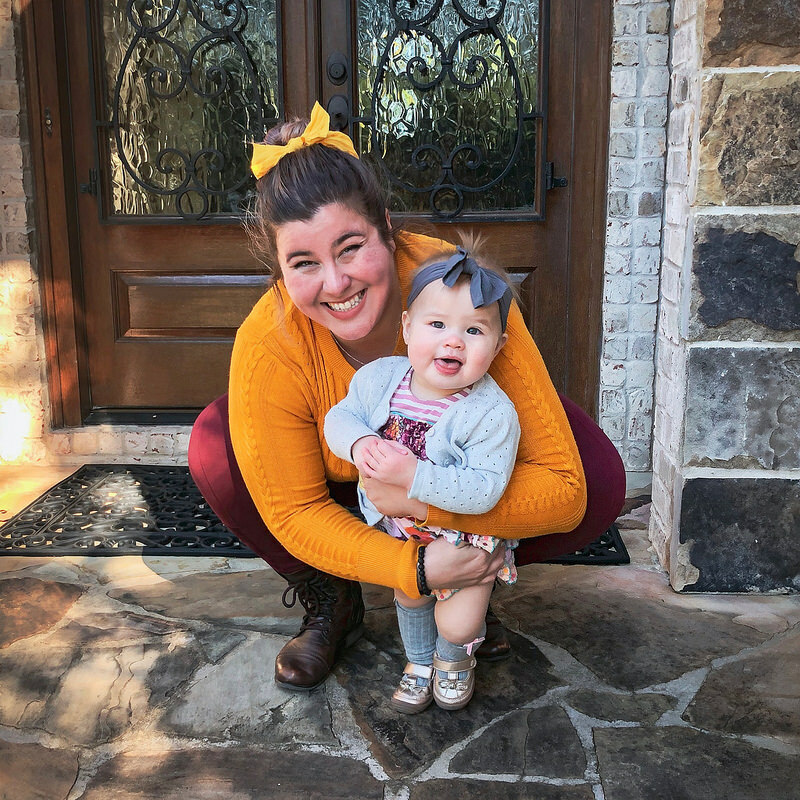 For as much as I mention my ethnicity on this blog, I don’t really highlight too many Chinese recipes. Mostly, this is because my mom is such an amazing cook that I don’t dare try to copy her recipes for fear of ruining the dishes for myself. But that’s not to say I don’t prepare my fair share of Chinese cuisine. I love whipping up a batch of frozen xiao long bao at home (steamed soup dumplings), I adore going out to dim sum, and I am absolutely OBSESSED with bubble milk tea. Bubble milk tea, boba, pearl milk tea, zhen zhu nai cha — whatever you call it, I love it. I was first introduced to this most magic of beverages during the three years I spent living in Taiwan, and to this day it is one of the surest ways to make me a happy, happy girl. Unfortunately, all the most authentic bubble milk tea places around here seem to be up in Rockville, and I don’t enjoy braving Seven Corners traffic enough to frequent the Eden Center on a regular basis. So, I’ve had to figure out ways to satisfy my total obsession occasional craving on my own. 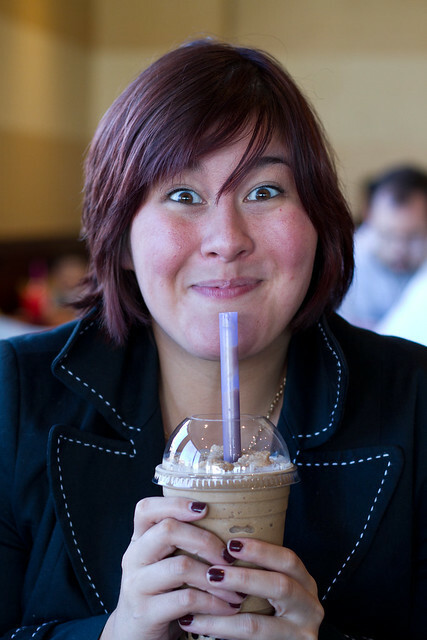 Introducing my very own taste-tested and Whasian-approved recipe for bubble milk tea. And because I love you guys so much, I even made it dairy-free, don’tcha know! I used regular ol’ black tea bags, but if you really want to go authentic, head for your nearest Asian grocery store and pick up a can of looseleaf Hong Kong-style black tea. 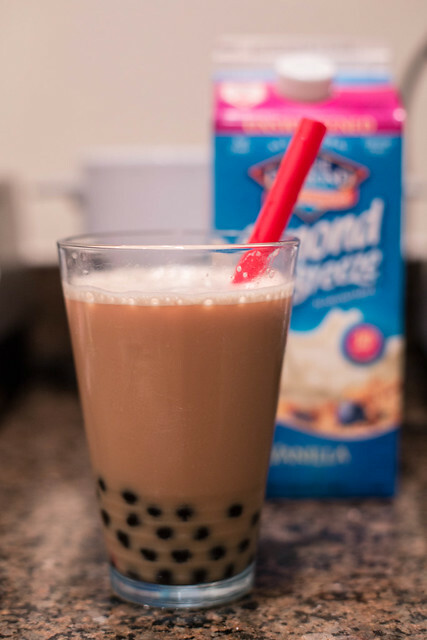 Also, since I imagine most of you don’t keep the pearls in your pantry, you can zip right over to Amazon.com and pick up a pack of tapioca pearls, along with some of those nifty fat bubble tea straws. 1. Steep tea in boiling water. You are aiming for a very strong brew, so let steep for a good 8 – 10 minutes. It is also best to allow the tea to cool somewhat before mixing your milk tea. 2. 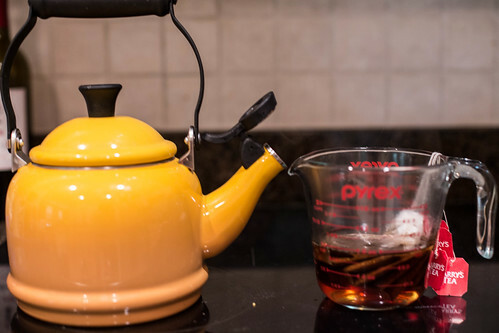 While tea is steeping, heat water on stove in a small or medium sauce pot until boiling. Add tapioca pearls and cook until all pearls float to the top, about 2 minutes. Remove from heat, add sugar to pot and stir just until dissolved. Cover and let sit for an additional 5 minutes. Reserve about half of the tapioca pearls and sugar water for each serving of bubble tea. 3A. For frozen bubble milk tea, add tea, milk, sugar water from the pearls, and ice cubes to a blender, and blend until ice is fully incorporated. Add tapioca pearls and enjoy! 3B. 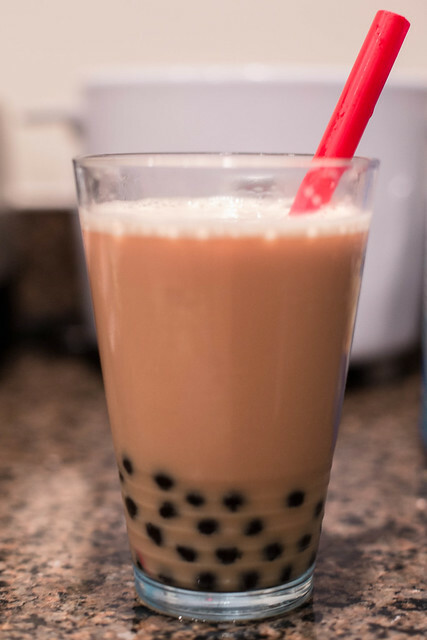 For regular bubble milk tea, simply combine tea, milk, and sugar water in a pitcher or glass, then add pearls. If the mixture is not cool enough, you may add ice cubes or refrigerate* the tea first. Enjoy! *Do not refrigerate the pearls in the tea — store them in the sugar water separately. The pearls become hard when cold, and will need to be reheated in the microwave to become soft again. So there you have it. 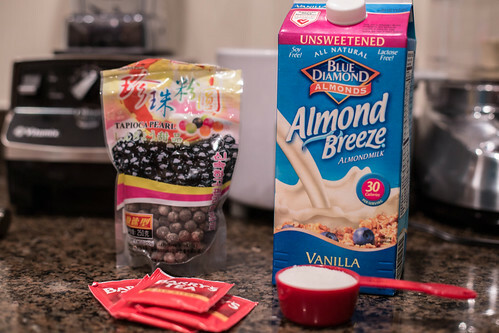 You can add as much or as little additional sweetener as necessary to achieve the desired taste of your milk tea, but I tried to keep it fairly light. As mentioned, you can store any leftover pearls in the sugar water mixture (a mixture of water and honey is also a great preserver, and gives good flavor to the pearls). Just reheat the pearls for about 30 seconds in the microwave if you decide to use them later! Easy peasy. Okay I’ll take a gallon. P.S. Jonathan wanted to try out making his protein shakes with almond milk a month or so ago, and now our fridge has been officially converted to an Almond Breeze storing tank. OBSESSED. I’ve just been waiting for the right moment to tell you. This post made my day! I HEART bubble tea! I’ve been wanting to try to make some, but I just don’t know how (I guess there is that nifty little thing called google, but whatever). I’m totally going to try this!! Any suggestions on how to make Taro flavored? Do they sell the powder?? Hi, I’ve never heard of this before, but I’ve GOT to try it – just the thought of drinking something called Bubble Milk Tea makes me smile. Gahh I love bubble tea! Genius. I only know of one place within drivable radius that makes them. Womp woooomp. Bubble Tea is the ONE thing I miss since moving out to the sticks, ok one of, but is most definitely in the top 5! This looks delicious! I think will try this for myself! Seems really delicious because I’m salivating right now! I just hope I will come up with this the same way you have it. I tried this yesterday following your instructions. And it was like, wow! this thing is yummy! Will make more of this. Thanks for sharing. Worked out great for me! Thanks for this recipe. You are absolutely hot by the way.